Disability Owned Business Enterprise DOBE®] which provides universal internet strategy, design, development and marketing services. He is a highly experienced public relations and Internet technology professional with a portfolio that includes the development of the first Official Website of the City of New York. Having become disabled in 2006 from a brain aneurism, he has focused his skills on equal access of Internet media for people of all abilities. His company’s mission has evolved to focus on responsive and responsible design and service delivery for all devices and all people. As an advocate for those with cognitive disabilities he takes a particular interest in the benefits of neurodiversity and universal design in Internet communications. Entrepreneurship programs for people with disabilities (PWD) are critically important because they serve to enable this greatly underemployed community to achieve their true potential. 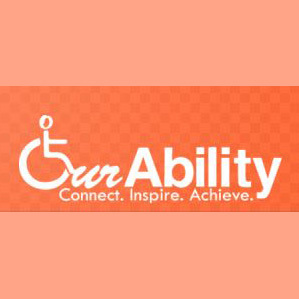 These programs capitalize on the disability community’s unique entrepreneurial nature to create a vibrant business community. Organizations like the United States Business Leadership Network, provides access, support and incentives for contracting with certified disabled-owned businesses. Regarding entrepreneurship in New York, there are government services by NYSED.gov –ACCES-VR that focus on disability employment, and provide “self-employment” assistance. Also, the New York State’s Empire State Development has an Entrepreneurship Assistance Program, at various locations in NYC, providing instruction, training, technical assistance and support services to individuals who are starting, or recently started, their own businesses. In addition to government services, the business community is embracing entrepreneurship through specifically including disability-owned businesses in their supplier diversity efforts as they have with women-owned and minority-owned businesses. For example, theUSBLN Disability Owned Business Program certifies disabled-owned businesses and promotes the inclusion of certified disabled-owned businesses into corporate supply chains. New York City does have an aggressive program to support small businesses through the The Dept of Small Business Services (SBS). SBS makes it easier for businesses in New York City to form, do business, and grow by providing direct assistance to business owners, fostering neighborhood development in commercial districts and linking employers to a skilled and qualified workforce. NYC Business Solutions is a suite of services that SBS provides to help businesses start, operate and expand in New York City. There is a program to assist Minority and Women Owned Businesses, resulting from a law to provide incentives to MWBEs. Specifically, Local Law 129 which “amends the charter and the administrative code of the City of New York to increase opportunities for minority and women-owned business enterprises in City procurement”. This Law was enacted 2005 and is administered by SBS and the NYC Mayors Office of Contract Services. At this time the City of New York inclusiveness programs do not specifically recognize disabled-owned businesses and disabled-owned businesses are not tracked or quantified in the MWBE compliance report that the City issues every three months. With awareness and support we are hoping to change that. One of our goals is to get Local Law 129 extended to cover disabled owned businesses and to get their numbers quantified and tracked in the compliance report that SBS and the Mayor’s Office of Contract Services. NYC currently is providing multiple avenues to entrepreneurship but at this time the MWBE program services are not inclusive of people with disabilities. A Burton Blatt Institute Report prepared in 2010 recommended to NYS that MWBE preferences be extended to disabled owned businesses but that recommendation was not enacted in Law. Disability-owned business recognition would allow access to resources and financing opportunities and would allow persons with disabilities to compete in the New York market place. I feel entrepreneurship programs are a critical path for the underemployed disability community to succeed in business. Not only could this lead to improved rehabilitation and vocational service goals but a healthier disability community within a more accepting and diverse business environment for all. Currently NYC is recognizing the need for programs to help the diverse communities and with your assistance we can level the playing field for those with disabilities in business.